Biodiversity within the European Union is under threat. Almost a quarter of Europe's vascular plant species and 155 species of its native mammals, birds, reptiles and amphibians are threatened with extinction. The Habitats Directive imposes a strict regime for environmental protection. But with the euro zone economy falling from 'stagnation' to 'contraction' in the second quarter of 2012 and the UK entering into a 'double dip' recession in April 2012, European governments face an economic crisis. The English courts have said that the Directive should not become a property developer's obstacle course. 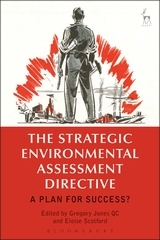 Yet the tensions between environmental protection and economic growth are all too readily apparent with the UK government stating both that we must 'arrest the decline in habitats and species and the degradation of landscapes' and later that 'gold plating of EU rules on things like habitats' was putting 'ridiculous costs' on business enterprise. Edited by Gregory Jones QC, The Habitats Directive: A Developer's Obstacle Course? 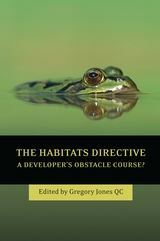 brings together a unique combination of leading academics and practitioners in the field of European environmental and planning law to address and debate controversial issues arising from the Habitats Directive in an authoritative and practical manner. 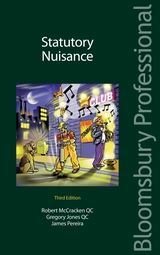 A must for anyone engaged in property development, planning and environmental law. 6. Appropriate Assessment: A Paper Tiger? Gregory Jones QC is a barrister at Francis Taylor Building and a Visiting Lecturer at King's College London.